Within easy reach of San Jose but offering a far more laidback ambiance, our dentists in Curridabat offer visitors great quality dental care, for 70% less than they’d pay at home. Part of the Metropolitan area, it is one of the oldest towns in Costa Rica, but it is also modern in its appeal. New real estate and commercial developments bring upmarket housing, smart shopping malls, high-class restaurants and chic hotels, alongside traditional Tico culture, offering residents and visitors the best of the old and new. Wealthy Tico families and many expats have made their homes here, and the influx of residents and students at the prestigious University of Costa Rica, which is based here, has initiated these changes and increased the demand for everyday services, including medical and dental facilities. Curridabat’s proximity to San Jose makes it an ideal choice for hopping into the City, where you’ll find all the big city highlights, including shopping, restaurants, galleries, theatres, and, of course, scores of bars and cafes. 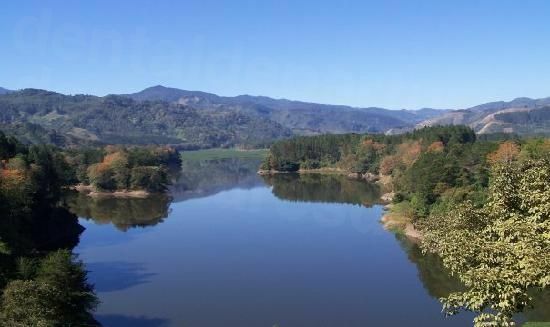 When you’re done with urban life Curridabat is well placed to visit the surrounding countryside, where the great outdoors beckons with great views and activities for all ages and abilities. It’s location in the Central Valley gives visitors relatively easy access to the attractions in the immediate area, but is also convenient for traveling further afield, or even to the coasts, on either the country’s Caribbean or Pacific sides – or both! This old town has a lot to offer visitors who want all the amenities of a city, but without the crowds – plus it’s near enough to San Jose if you’d like a taster. 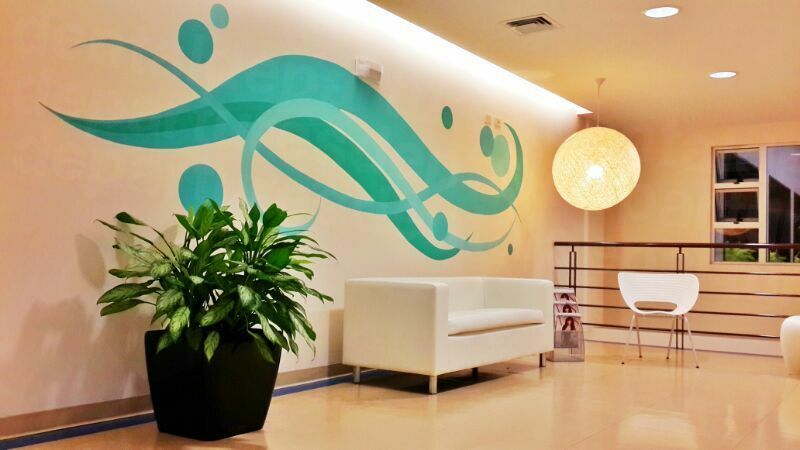 Dental tourists will appreciate its relaxed atmosphere, as well as the good care they will receive. Curridabat is to the southeast of San Jose in Costa Rica, around 20 minutes drive away. 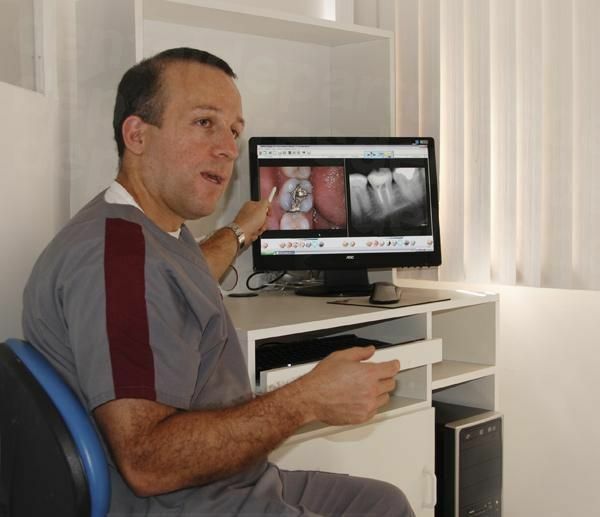 Why visit a dentist in Curridabat? Easy to get to, Curridabat is one of the oldest towns in Costa Rica. It is quaint, with a beautiful church and upmarket mansions where a lot of expats and foreigners have made their homes. It still has all the everyday facilities you need if you don’t want to stay in busy San Jose - including shopping malls, restaurants, and various places of entertainment. While dental care in Costa Rica is generally good, it is certainly true of Curridabat. Partly because there are is a large foreign community here, the dentists are geared toward serving international patients. 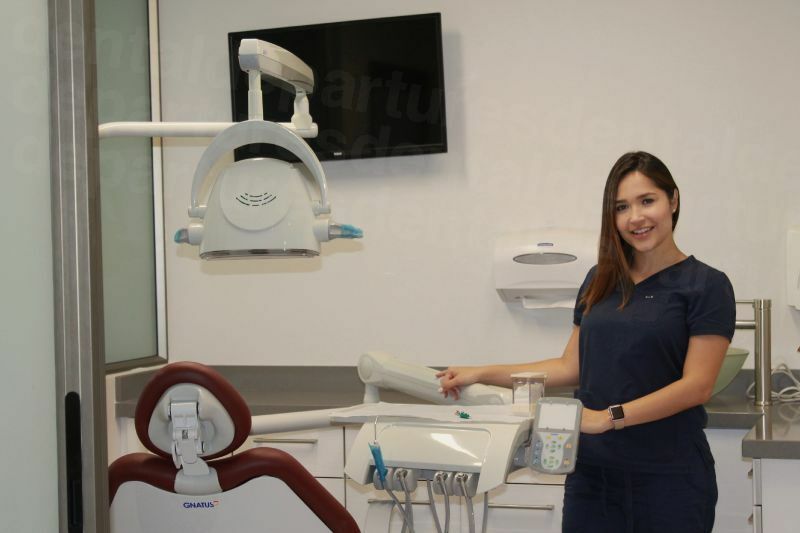 Dentists in Costa Rica usually speak English; clinics are modern and new technology, branded materials and safety standards are all on a par with your dental clinic at home. You’ll find a full range of different accommodation options in and around Curridabat, from luxurious 5* hotels, to inns, ecolodges, b & b’s and self-catering apartments. Costa Rica is a very safe country and there are no travel dangers or annoyances with regard to Curridabat. Yes – but with a caveat – always do some research to make sure. 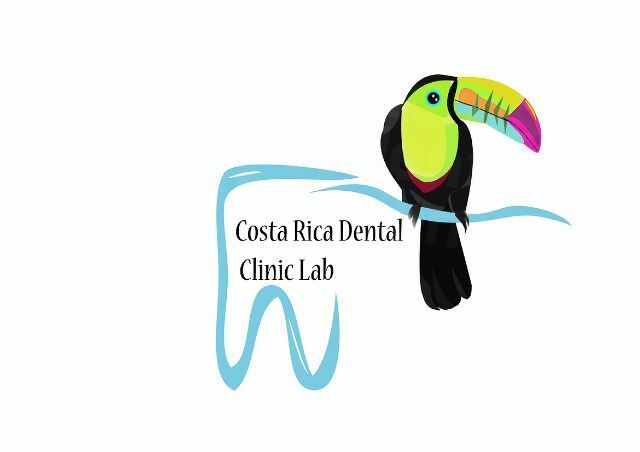 We have found Costa Rica dentists, generally, to be good, but doing a little homework will give you some peace-of-mind, knowing that their credentials stack-up. We have made the process easier by doing our own research, and providing you with the information you need to make choosing your dentist easy. We check legal and criminal records, as well as the qualifications and experience of our dentists. With on-site visits and patient testimonials, this gives a clear indication of reliability and trustworthiness. Check out our listings to view this information online, with high-definition clinic photos too. Curridabat has a large ex-pat and foreign community, and so many of the dentists here have the same high-standards of hygiene, safety, equipment and materials that their patients are used to receiving at home. Providing you take the care to choose well, you will find your care in Curridabat easily matches, if not exceeds, your expectations. Our dentists in Curridabat all provide warranties and guarantees on the dental care you receive from them, which also includes any materials used in your procedure, for example, crowns, veneers, dentures and implants. Should you experience any issues with you treatment, it will be fixed free-of-charge under warranty. Although it is an extremely rare event for any of our patients to have problems (and of those that have, the issues have been minor), no medical or dental procedure can ever be guaranteed completely – our bodies all react differently, and dentists are human and can make mistakes. At Dental Departures we work hard to maintain our 5* service, and will do everything we can to resolve your problems, taking up any issues with your dentist on your behalf, and getting a solution for you as expediently as possible. We should also mention that while your treatment is covered free-of-charge under warranty, that any further expenses you incur for travel or accommodation is not. We know this could be problematical and so have teamed up with some insurance providers who offer medical complications insurance which covers these expenses for a small premium. Our dentists speak English proficiently in Curridabat, and you will also find it is spoken widely throughout Costa Rica. A number of different payment methods are accepted by dental clinics in Curridabat, including cash. Check out the individual clinic listing on our site to see if debit/credit card payments, personal/traveler checks and bank transfers are accepted. Additional processing fees of between 3-4% are usually incurred for credit card payments. It is unlikely your insurance will be accepted by dental clinics in Curridabat, although if you have ‘out-of-network’ care, it is possible you will be able to claim back your expenses when you get home. Get in touch with your insurance provider if you are not sure, as your money will go a lot further in Costa Rica. 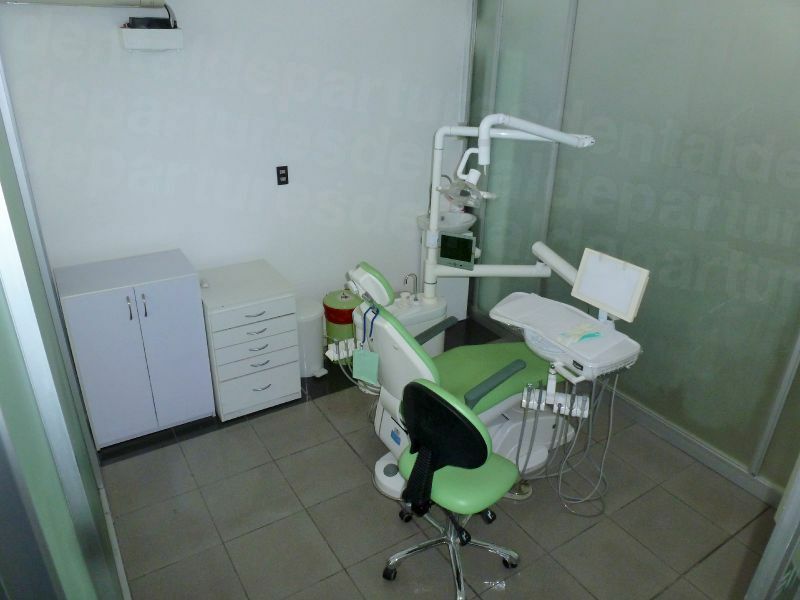 The dental clinics in Curridabat are open year-round, so you can visit whenever is most convenient for you. If you are on a budget it is worth going in the low-season as you can generally get good deals on flights and accommodation. The weather in Curridabat is spring-like throughout the year with mild temperatures. The rainy season is May to November, but it doesn’t rain all the time. You are more likely to have a sunny morning with the rain coming later afternoon and evening – so if you can cope with a little rain it may be a good time for you to visit. Thanks to Costa Rica’s equal opportunity law that requires disabled access in public places, many more facilities and amenities are becoming wheelchair-friendly. As well as new hotels, even some of the country’s most popular attractions, including nearby Poas Volcano National Park, are completely accessible for wheelchair users with concrete paths, ramps and facilities for the blind and deaf. Many of our dentists offer pick-up and drop-off services from your hotel, so please ask us about this if you would like to know more. The flora, fauna and countryside of Costa Rica is mesmerizing, and it is easy to take on too much without taking into your account your abilities. Wear appropriate clothing for your activity and don’t take on anything too much – choose a beginner hike if you’re not a walker, rather than a 3 day hike out into the wilderness with camping thrown in! If you are going off trail, let someone know your planned route and when you are due to return so that someone can raise the alarm if you don’t show. What else is there to do in and around the city of Curridabat? In and around the University there are some interesting exhibits, including the Facultad de Agronomia – an insect museum – which, rather oddly, you can find in the basement of the Music Building. There is also a theatre on site (the Teatro de Bellas Artes), which puts on a variety of shows, including productions from the university’s department of fine arts. 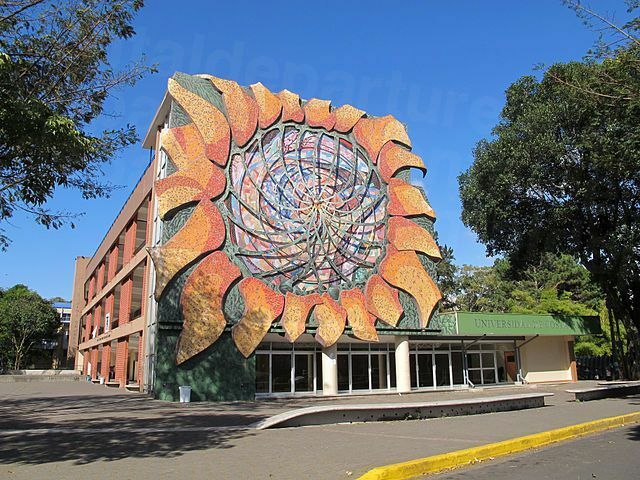 Teatro Eugene O’Neill is another theatre in nearby San Pedro, where you can make like it’s the 1970’s again at the Salon Los Patines roller rink, and Boliche Dent – a bowling alley which opened in 1969. There’s also a couple of shopping malls, including Mall San Pedro and the Multiplex. if arts, crafts and handmade goods is what you’re after, then the International Market of Arts and Crafts and the National Artisan Street Markets are where you should head for. Located to the southeast of San Jose, there are a number of attractions in the local countryside. 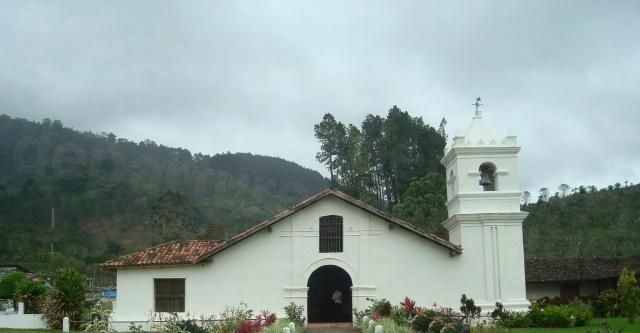 The Orosi Valley is less than an hour’s drive away and as well as the natural wonders on show, there are charming historical and cultural towns that are worth stopping off in, such as Orosi with its pretty, old church, the Iglesia de San Jose de Orosi. Beyond Orosi, through the coffee plantations and quaint villages, is the Tapanti National Park with acres of rainforest and protected wildlife zones where some of the most endangered species reside. Trails snake through jungles and beside rivers, and you may be lucky enough to spot monkeys, wildcats and tapirs. The tranquil Cachi Lake and Dam is also worth making the effort getting to see, but you’ll need nerves of steel to cross the bridge over the canyon. There’s also some fantastic places to eat around here – you can even catch a fish and have it cooked for you! East of Curridabat is the Irazu Volcano National Park, and a further opportunity to explore Costa Rica’s rich landscapes and wildlife, with humming birds, woodpeckers, armadillos and rabbits making an appearance in this particular location. San Jose’s International Airport (Aeropuerto Internacional Juan Santamaria) is only 16 miles (25 kms) from Curridabat. Driving – All the major car hire agencies are here and the roads outside of San Jose are safe and pleasant to drive around. San Jose is congested and parking at a premium so head out of the city as soon as you can if you are driving. Bus – A great way to get around. There are frequent services traveling locally and cross-country and they are cheap. Do be aware that there are no rest-stops for journeys less than 4 hours – and no toilets on board! Taxi – Affordable and plentiful. In the cities they are metered, but negotiate your fare in advance in rural areas. Book your appointment with our quality-checked dentists and guaranteed best prices online, or call toll-free. You can also use our online chat to speak with one of our Customer Care Team who will talk you through the process. We’re here to assist you in finding an affordable dentist in Curridabat offering great quality care, so book through us for great service you can trust.